What name(s) would you like to use? Add as many as you like, but please check for spelling errors and use commas to separate names. We use EXACTLY what you provide. 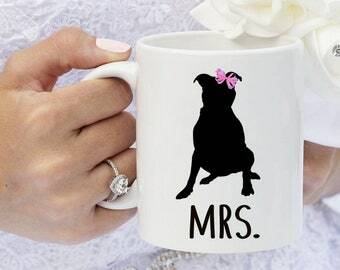 A gift with function and style that is perfect for any pitbull lover. 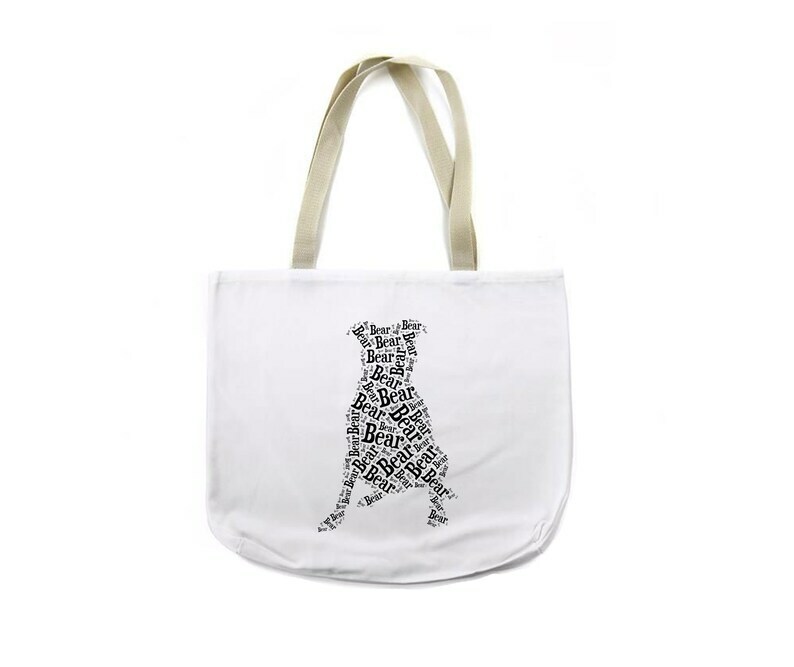 You have it all with this large and sturdy tote bag featuring a pitbull silhouette comprised of the names of your very own dog(s). This generously sized 16.5" x 14", 100% polyester canvas bag features a tan/off white coloring that is versatile enough for school, work, or play. You'll also reach for this bag before a stop at the library, a day at the pool, dog park, or a trip to the market. A great all-around bag that makes a one of a kind pitbull gift perfect for a birthday, new puppy addition, Mothers Day, Fathers Day, Christmas or anytime! 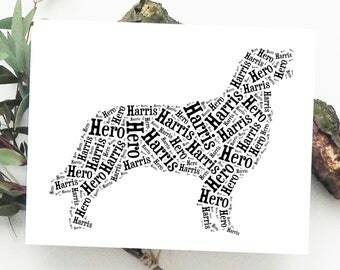 Every dog owner will enjoy a 100% custom piece of wall art that celebrates their favorite breed PLUS their favorite dogs! ❤ Printed on 1 side of tote via sublimation so image is permanent and will not crack, fade, or peel. ❤ No two images are ever the same due to the name(s) you select. 100% unique! (Images shown provide you with a sampling of what to expect). ❤ Colors may vary slightly due to differences in monitor displays. However, as a fellow pet parent you can trust us —we'll make sure it looks great! ❤ Proofs are sent to your Etsy inbox ONLY if you specifically request one or if there are questions about your order. Please be available to view/respond to proofs for faster shipment. ❤ Ships USPS First Class Mail. If you'd like to ship your print Priority we can do that for you. A. What name(s) would you like on your tote? Use as many as you like, but be sure to spell check. We print EXACTLY what you provide us. B. Image will be done in classic black (as shown in listing photos). 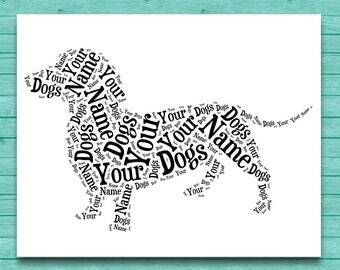 To do a one-time colorizing of the largest name(s) of your choice in the color(s) of your choice click here: https://etsy.me/2TvXcPP to add that to your order. This is a great option if you wish for certain names to stand out from the crowd. NOTE: If you would like the silhouette to be another color, please convo us and we'll be happy to work with you. Standard production time for totes is 3-5 business days. NOTE: this is not delivery time; this is how long it takes to create your tote and get it out in the mail.